Congress' communications incharge Randeep Surjewala asked the prime minister whether he would take action against Sinha. NEW DELHI: The Congress today accused Prime Minister Narendra Modi of "betraying" people with "zero action" against black money stashed abroad and demanded resignation of Union minister Jayant Sinha and BJP MP RK Sinha after their names figured in the 'Paradise Papers'. Congress' communications incharge Randeep Surjewala asked the prime minister whether he would take action against Sinha and make public the names of all those people who hold black money accounts abroad. "Will the prime minister show courage of conviction to hand over this entire information to the bench of the Supreme Court looking at action against Black Money holders? Will the 'Compromised Bureau of Investigation' (CBI) and 'Enmity Directorate' (ED) take action by booking them and conduct raids on them?," he asked. Surjewala said Sinha, after his name appeared in the 'Paradise Papers' on financial holdings abroad, has no right to be in the government even for a single day and should immediately resign. He also said the Congress has already demanded that all four union ministers who are directors of 'India Foundation' run by National Security Advisor Ajit Doval's son should resign over "conflict of interest". "PM Modi has betrayed the people of India with zero action against black money stashed by Indians abroad and corruption. No FIR has been registered in the 'Panama Papers' expose and now 714 Indian links of the Paradise Papers have revealed new tax havens," he said. The Congress leader said the Modi government should order an investigation into the Paradise Papers and no guilty should be spared. He said Prime Minister Narendra ModiÂ’s "so-called fight" against black money and corruption remains "complete flop", as he had promised to bring back Rs 80 lakh crore during his first 100 days in office and deposit Rs 15 Lakh in bank accounts of Indians. "Fortyone months thereafter, Narendra Modi has backstabbed the people. 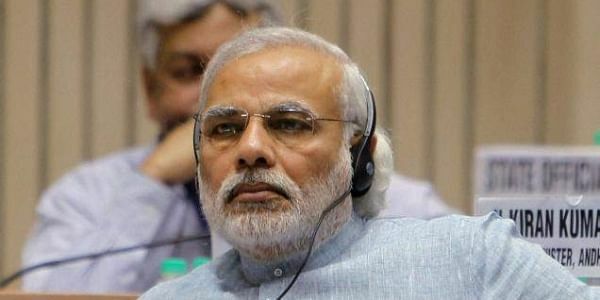 Modi government has not taken any action against black money holders abroad," he said. "Did prime minister Modi unleash the demon of demonetisation on the people of India as a diversionary tactic to save these people?". The Congress leader asked when will the government initiate action against BJP leaders named in Panama Papers. These include Abhishek Singh, the son of Chhattisgarh Chief Minister Raman Singh, Shishir Bajoria from West Bengal (Chairman of IIM, Shillong) and Anurag Kejriwal - both having links with BJP and named in the Panama Papers, he alleged. He also alleged that a US company D.Light Design with a subsidiary of the same name in offshore tax haven of Cayman Island which raised a loan of USD 3 Million which has Sinha as a signatory and a director. "Jayant Sinha concealed this information of being a director of 'D.Light Design' in his declaration to the Election Commission as also to the Lok Sabha Secretariat and the PMO". Jayant Sinha refuses to quantify or disclose his interest in the profit investments made by Omidyar Network either in D.Light Design or in other corporate entities including whether any part of such investments was in an entity based in or connected to a offshore tax haven, he said. Surjewala said another expose has already revealed that Jayant Sinha is a director of India Foundation as MoS Civil Aviation, with major civil aviation companies including Boeing sponsoring various events of the foundation. "Does it not compromise the position of Jayant Sinha as MoS? Does it not tantamount to conflict of interest? Is the non-disclosure of all information in affidavit before Election Commission not an electoral offence?" he asked. Sinha has, however, rejected all the allegations. "It is crucial to note that these transactions were done for D.Light as an Omidyar representative, and not for any personal purpose," he tweeted. Sinha, former venture capitalist, also said all these transactions have been fully disclosed to relevant authorities through all necessary filings as required.